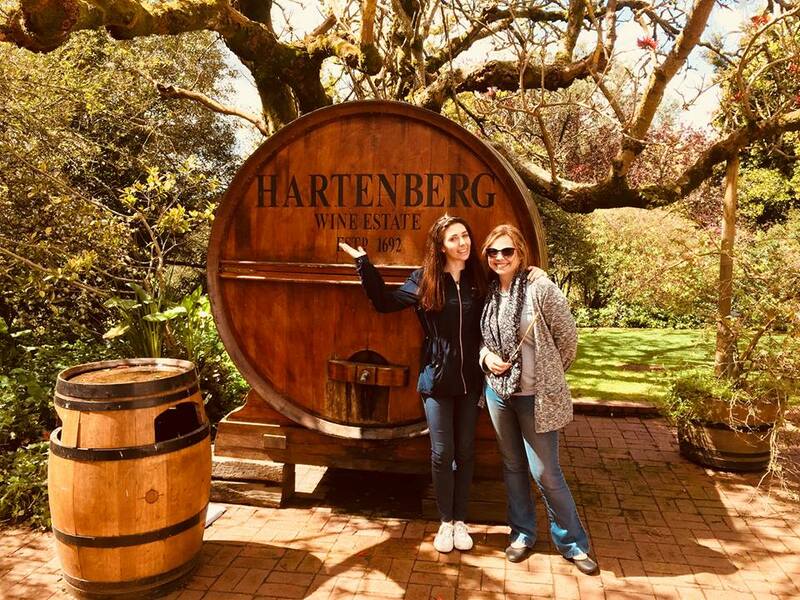 While in Cape Town for the CWG Auction, the Mosaic Team was invited to spend the day at Hartenberg Wine Estate for a “grand tour” of the vineyards with viticulturist, Wilhelm Joubert as well as lunch with winemaker, Carl Schultz and the rest of the Hartenberg Team. 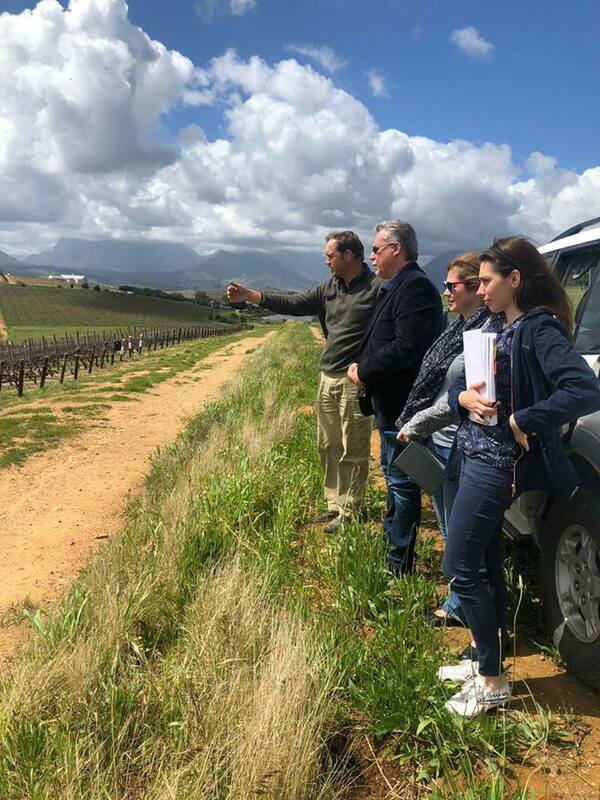 It was a surreal moment to look out over the various vineyard blocks of Hartenberg from the breathtaking vantage point at the top of the farm, accompanied by our good friend Kobus Potgieter, the managing director of Hartenberg, while Wilhelm explained the layout of the different vineyards and the importance of where they are placed and the soil that they are planted in. 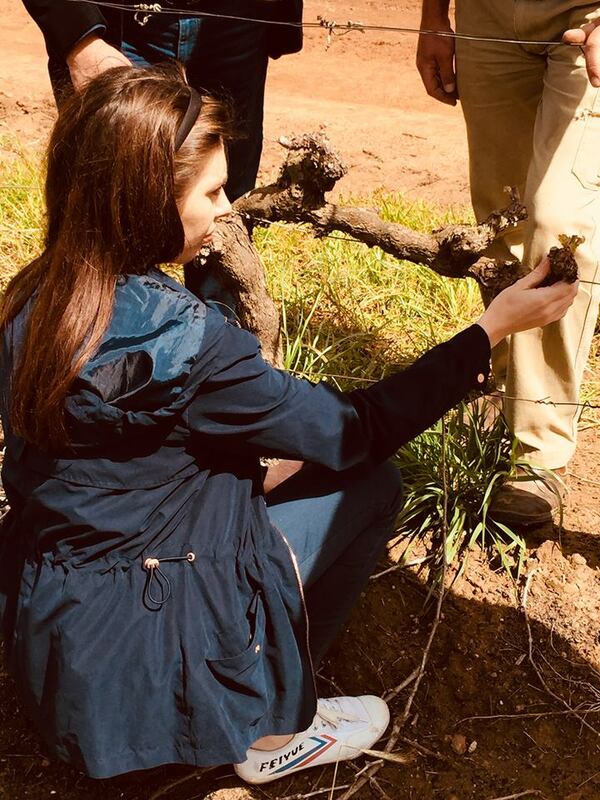 As we drove on the rough gravel roads between the vineyards with Kobus and Wilhelm, we were amazed at the differences of the various “terroirs” – from the loose gravel soil in which the Shiraz is planted, to the denser, almost “clay-like” soils, affectionately known as “koffieklip”. It is clear to see that the success of this award-winning estate does not rest solely on the shoulders of the winemaker, but is also equally the responsibility of the viticulturist – it was humbling to see how much love and dedication goes into these grapes before they even reach the cellar… gifting the winemaker with the perfect foundation on which to build his craft! 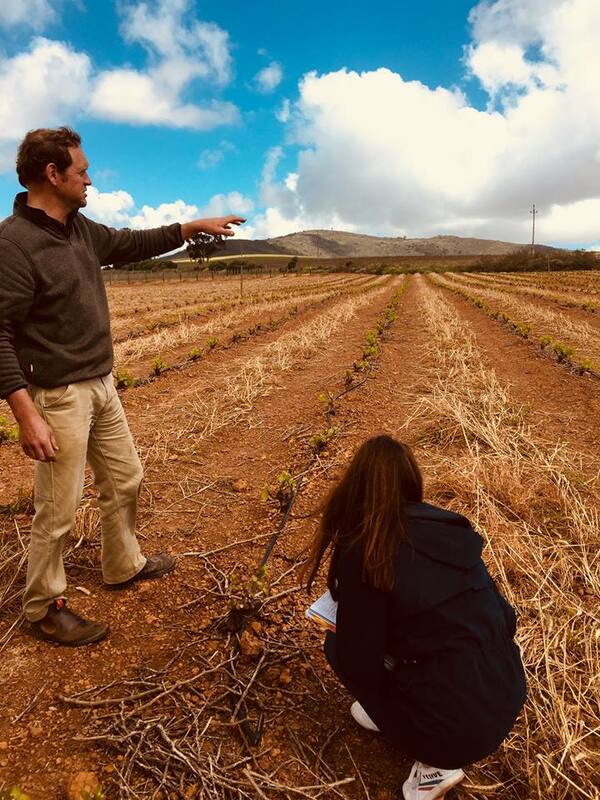 Kobus was understandably proud when he told us that Wilhelm was recently recognized when Vinpro and Winetech announced the five regional winners of their annual “Vineyard Block Competition” for his unequivocal attention to detail in the vineyard by taking the honors in the Stellenbosch region for their Merlot block. After the vineyard tour, we were joined in the cellar by winemaker, Carl Schultz to taste his personal selection of wines set aside for us… it is always a pleasure to spend time with Carl and he did not disappoint as he treated us to some incredible offerings (one of which we were the first to taste and sworn to secrecy during the tasting…). 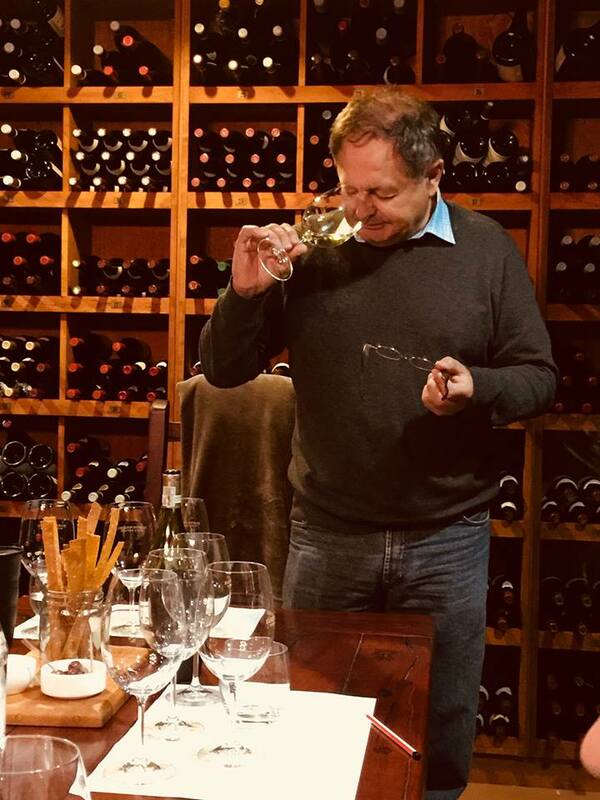 Sitting at the big wooden table in the cellar, surrounded by Carl’s astounding collection of wines from around the world, we were again reminded that this is indeed one of the very best wine estates in South Africa, and the world. Colour: Straw with green tinges. Bouquet: Classic notes of white flowers and a touch of oily richness that is characteristic of Riesling. Palate: Bone dry on the palate with flavors of green apples, citrus fruit and white peach. The wine has an elusive mineral quality that alludes to the soils in which these vines are grown. Colour: Deep opaque ruby color with a slight garnet rim. Bouquet: There is a charcuterie savory meatiness on the nose with notes of lavender and herbaceous shrubs. Palate: Rich and full on the palate with a medley of cassis and black and blue fruits, olive tapenade and exquisite dark chocolate. The tannins are soft and ripe yet firm leading to a lingering finish. Finally we continued our tasting during a lunch “fit for a king” outside in the lush green gardens, with delicious servings of salmon, beef, roasted veggies and of course the famous Hartenberg “snoek paté”! Former marketing manager and son-in-law to the famous Ken MacKenzie, James Brown, and current marketing and sales director, Heleen Rabe joined us as we shared a few more glasses of delicious wines with Kobus, Carl and Wilhelm. It was such an incredible afternoon and it truly felt like a family get-together during the festive season.